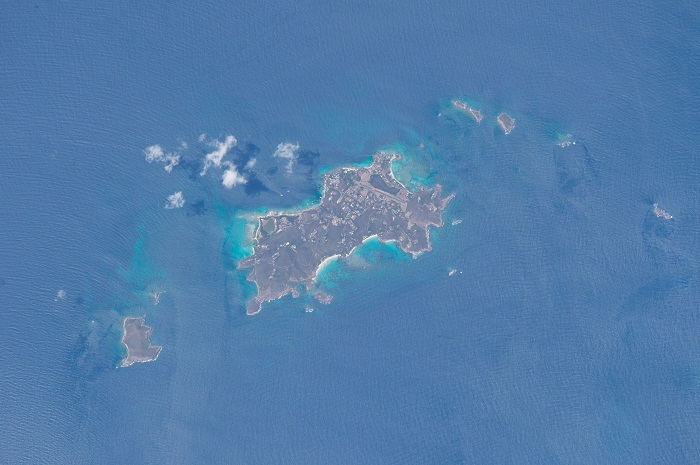 Mustique is a small private island that is part of a group of islands called the Grenadines, which form most of the part of the island nation of Saint Vincent and the Grenadines. The history of the island of Mustique goes back to the 15th century when Spanish sailors first sighted a group of islands naming them ‘Los Pajoros’ or ‘the birds’ as they resembled a flock of tiny birds in flight. 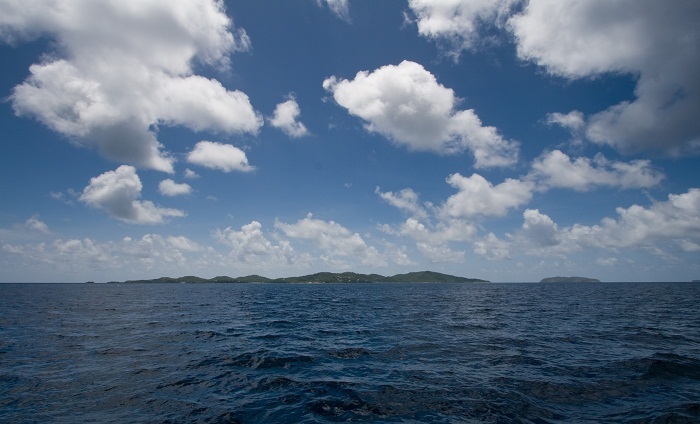 In the seventeenth century the islands were renamed The Grenadines by pirates who used the sheltered bays to hide their ships and treasure. During the 18th century it has been transformed to cotton and sugar plantations, which today have been replaced with 50 magnificent secluded villas hidden along its vast shorelines and hillsides. It has only one luxury resort called Cotton House with 20 rooms, and the elegant Fire Fly Guest House with 4 rooms. 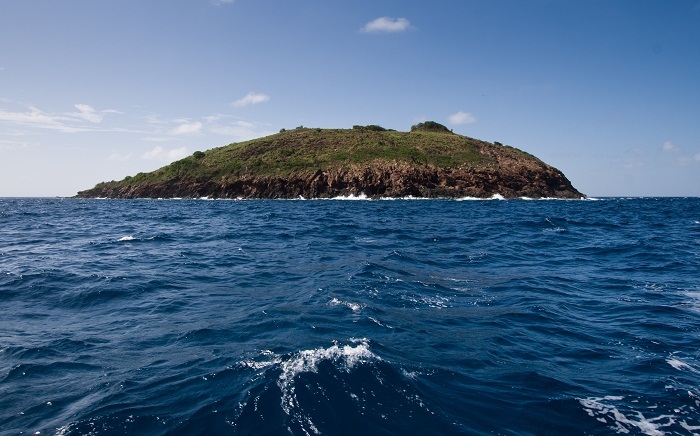 This is a very private island visited only by a few who seek seclusion and serenity. 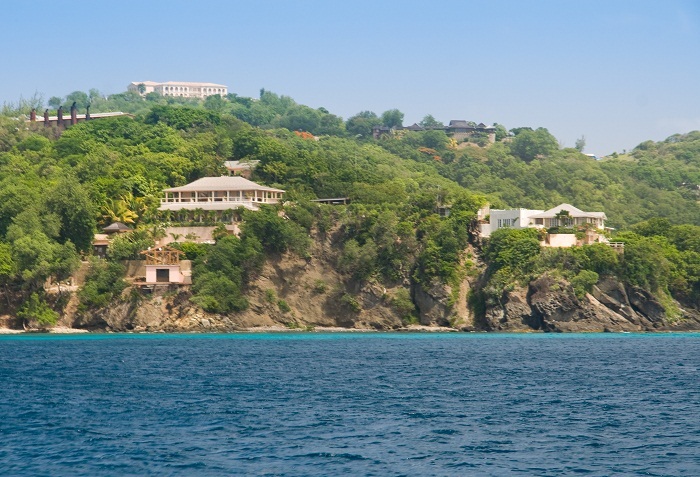 That is why the Mustique calls itself the world’s finest private island retreat. Only about 500 people call Mustique home, but the island swells in the winter months as Europeans and Americans flock to the tropical oasis to escape the cold. 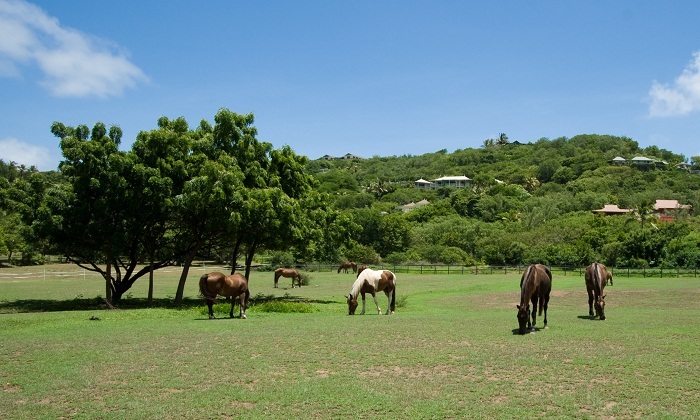 In 1989, Mustique Island was transformed from a family estate into a private limited company, The Mustique Company, with the homeowners as shareholders. There’s one little town with one bar and restaurant, the famous “Basil’s Bar & Restaurant”. 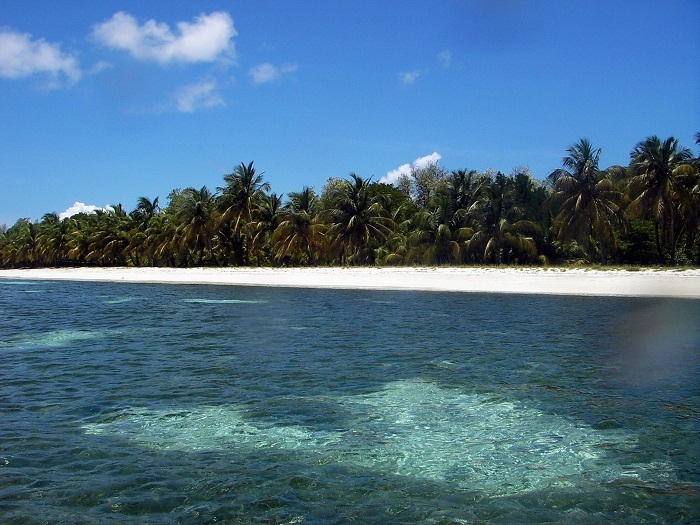 Seven large gorgeous beaches embellish the island with lots of spots to snorkel, fish, or swim. 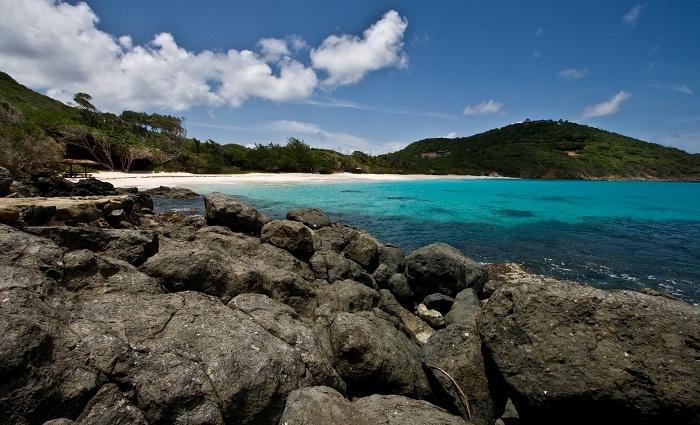 Macaroni Beach is perhaps the most famous of Mustique’s beaches and is situated on the east coast of the island. 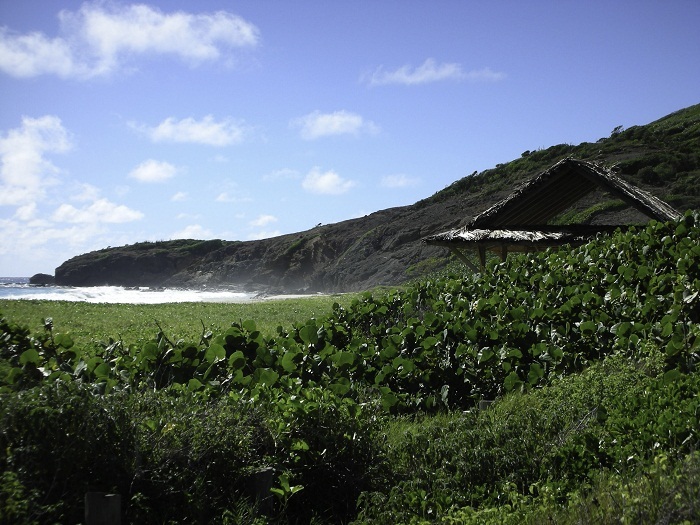 Other popular beaches on the Atlantic or Caribbean are Endeavour, Lagoon, L’Ansecoy and Simplicity, several of which have picnic hut facilities. 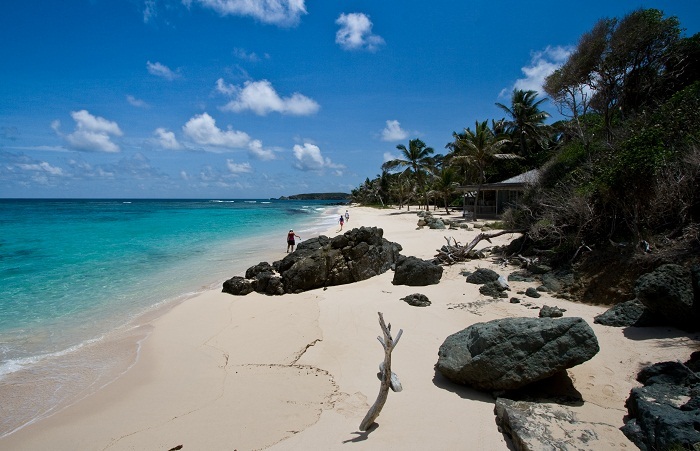 Mustique lies 18 miles south of St. Vincent in a collection of unspoiled islands in the Eastern Caribbean. Mustique encompasses only 1,400 acres, measuring 1.5 miles wide by 3 miles long of rolling hills and lush terrain with stretches of deserted white sand beaches surrounded by protected reefs and clear aquamarine seas. 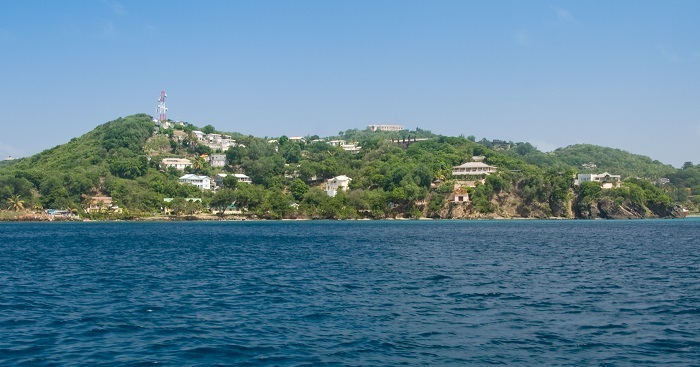 Mustique has, over the years, attracted a number of celebrities such as Farida Khelfa and her husband Henri Seydoux (CEO of Parrot SA), Léa Seydoux who is Henri Seydoux’s daughter and an actress, Amy Winehouse, Jeremy Clarkson, Paul McCartney etc. True paradise on Earth.